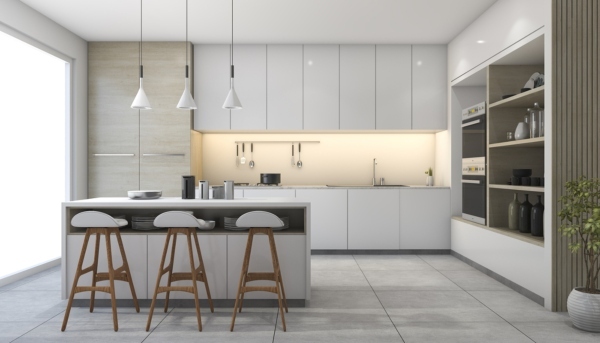 As a new homeowner, we’re sure that the first thing on your home interior agenda is a modular kitchen—and with good reason, too! Modular kitchens are considered to be the most practical and stylish solution for your kitchen interior. A harmonious blend of utility and aesthetics, they are available in a wide variety of colours, textures and finishes to match everyone’s personal preferences. With so many options in the market, you may perhaps find it hard to make the right choice of materials for your new kitchen. There’s no doubting the fact that your materials will determine how durable your kitchen will be, and how much it’s going to cost you! Here’s the lowdown on modular kitchen materials to help you make an informed choice! You cabinets are basically made up of two materials- the skeleton or carcass, and the exterior covering or outer finish. We’ll talk about both. Plywood, MDF or HDF, particle board or wood are the most common choices for the cabinet carcass material. Let’s take them up one by one. 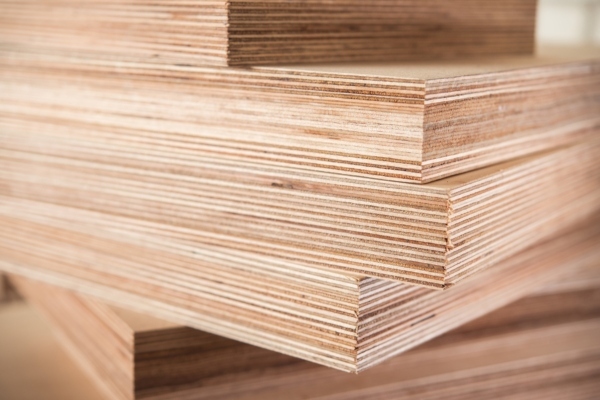 Manufactured by pasting many layers of wood together, plywood is a stable and durable material that is readily available in many thicknesses. 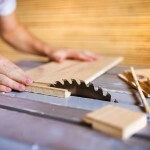 Plywood has a high degree of strength due to the way it is constructed and can hold heavy weight. Marine or BWP (boiling waterproof) plywood is moisture resistant and is the best option for kitchen and bathroom cabinets where a lot of water spills and splashes can be expected. 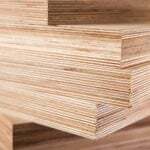 Commercial ply is less expensive than BWP ply, but is not as durable. High Density and Medium Density Fibreboards (HDF and MDF) are engineered woods, made with wood particles bonded together with hot glue. These boards are commonly used for kitchen cabinets, but are less durable and offer less strength than plywood. Since the board is very smooth, it can be finished neatly and painted to give a great appearance. Fibreboards do not offer enough resistance to screws and need special fixing details to hold on to screws and hinges. 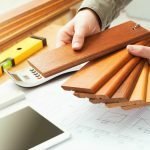 If the fixing of MDF shutters is not done with enough attention given to these details, the shutters will not be as durable as shutters with a plywood core. Particle board is the most economical option for a modular kitchen. Engineered by compacting waste materials and sawdust, it is a very light material that cannot hold weight and is also the least durable of all the material options. 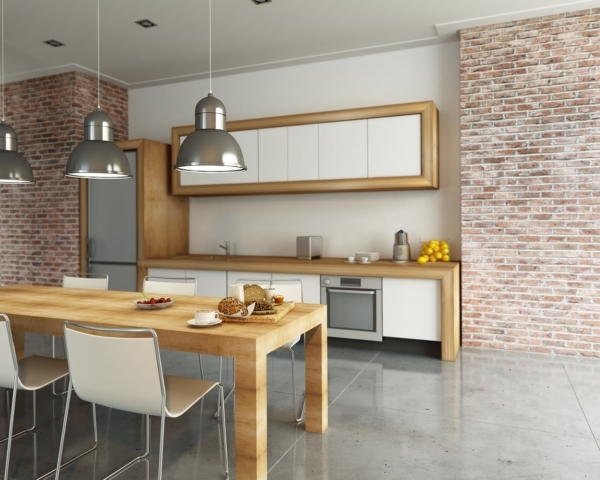 If you have the budget for it, you can opt for natural wood to build your kitchen. You will have to get the work done by a carpenter—most modular kitchen factories will not use real wood as the core material, since it is not easy to work with. Unless it is properly seasoned, it will warp over time. You will also not get consistent grains as the knots and whorls in the wood finish are all natural; however this adds to the beauty of the finished product. Teak rubber wood or beech are the most common types of wood available in the market. While the most common finish is laminate, modular kitchens also commonly come in PU, acrylic or membrane finishes. 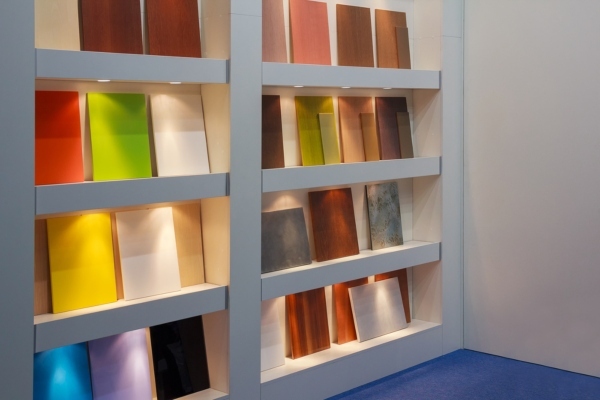 Laminates are available in a wide variety of eye-catching colours, textures and finishes. High on durability and easy to clean, they are also light on your wallet and are hence the most popular choice. Membrane finishes come in as a close second. A thin membrane is factory-coated around the shutter, and wraps right around all grooves, mouldings and sides of the shutter with a seamless finish that ensures high durability. If you’re looking for a bit more luxury, glossy acrylic finishes are sleek and elegant and give a high-end ultra-modern look. The glossy finish shows up smudges and dirt more easily and needs a lot of maintenance; so this is perhaps not for those who are too busy to spend time on daily cleaning! PU, or polyurethane finishes come in glossy or matte and are painted right on the shutter for a seamless, durable finish that is also very appealing. You can get the same kind of impeccable finishing as your refrigerator door, for example. PU is very hard and extremely durable, but is also the most expensive finishing option. 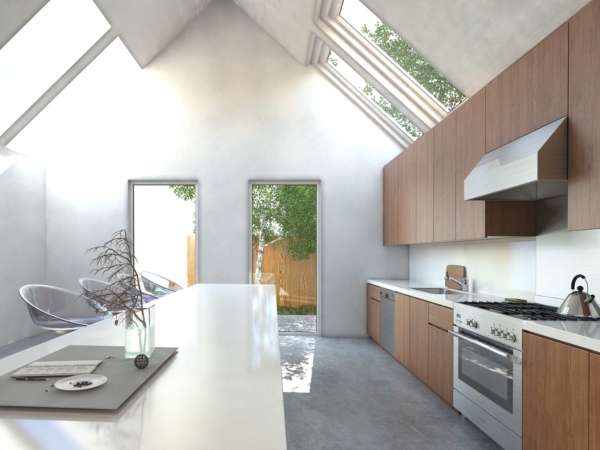 Still unable to decide on the best materials for your modular kitchen design? Do swing by to meet the expert designers at Homelane, and let’s talk over a cup of coffee!